Porridge is great for breakfast. It fills you up and there are so many different ways to serve it. Plus, it’s healthy and it is a great source of fibre. Every time I have porridge for breakfast, I always put honey on it. I want honey on every last oat. And if I finish all the honey on the plate before I finish the porridge, I would go get more honey. Eventually, I thought that perhaps it’s time for something new, and every time I have a foodie idea I think to myself “new recipe!”. You can never have enough breakfast recipes, as waking up to the same food every morning would be rather dull. So I hope this recipe can brighten up your morning a bit more. I don’t know if any of you think putting fresh mint leaves in a stewed berry mixture is weird or not, but it worked out so nicely. The mint balances the sweetness with a beautiful freshness. So don’t be shy with the mint and don’t chop it super fine either, you want to notice that really nice fragrance when eating the berries. Simmering the oats gently is important, don’t boil the crap out of your them. Otherwise, they can stick to the bottom and remember, we are using milk to cook the oats. The last thing you want is the milk to scald and burn in the pan. Not to mention the fact that high rapid boiling porridge turns into an erupting volcano and spits everywhere. So yes, cooking porridge is easy but it’s still important to be patient, don’t rush it and be attentive. So if you want to make your breakfast a bit more interesting, or change it up a bit, give this a shot. And if you have any suggestions on how to make porridge extra special, feel free to leave it in the comments below. Thanks so much for taking the time to read this blog. You guys are going to love the next post that I do for valentines day. Have an awesome day and see you all soon! If you are tired of the same old breakfast every morning, give this recipe a go. 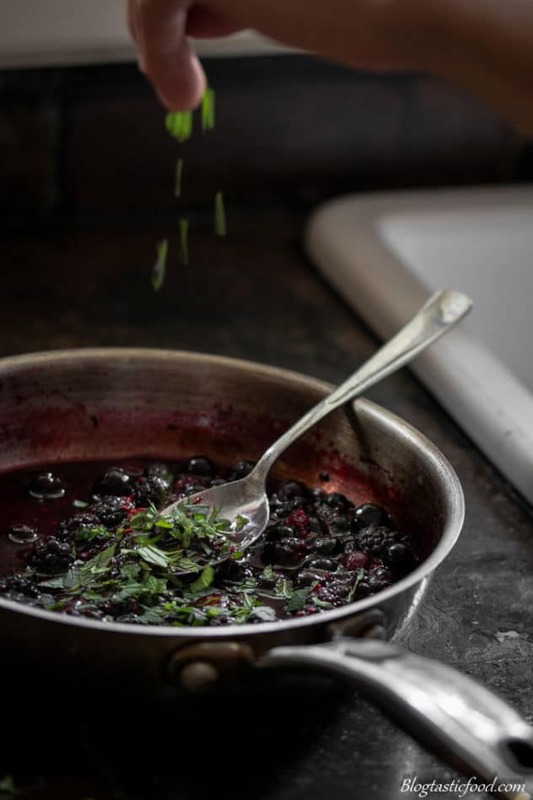 The stewed berries take the porridge from dull to amazing. - Put your oats, milk and a pinch of salt in a small pot. Put on the stove on high heat. As soon as the milk start boiling, turn it down to a nice gentle simmer. 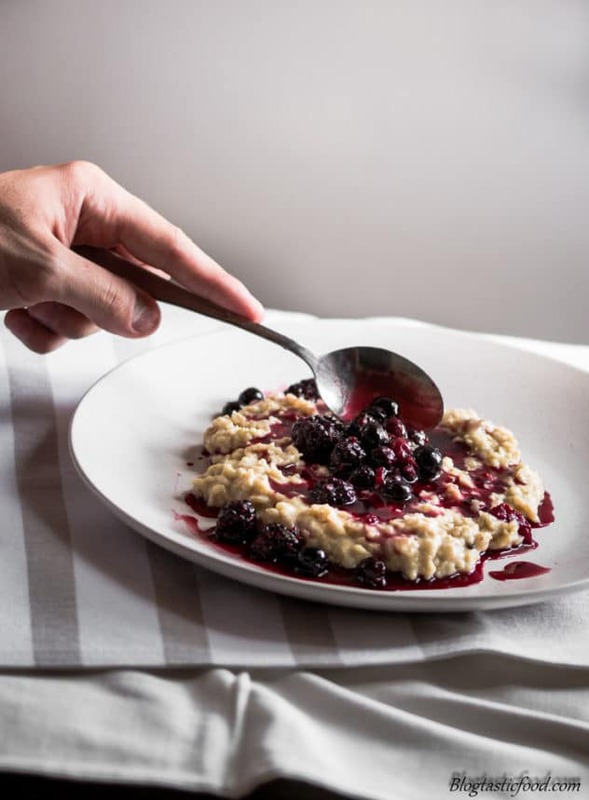 - Simmer the porridge oats for about 10-15 minutes, stirring about every half a minute, making sure that the mixture doesn't stick to the bottom. 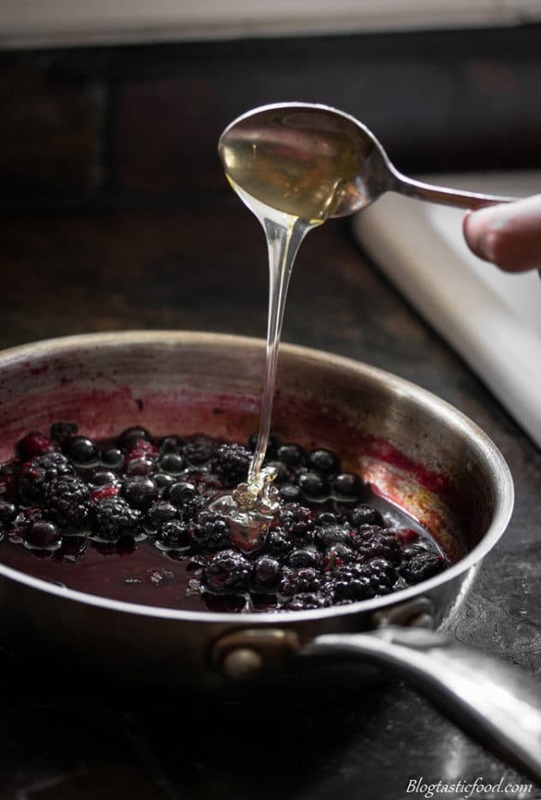 - Meanwhile, put your berries in pot or pan on about medium heat. Once they start to heat up, blister and release their juices, add you honey and mint, then stir through. Turn the heat off and set aside. 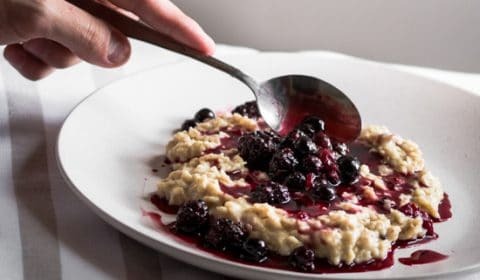 - Once the porridge is nice and thick, transfer to a bowl or plate. Then put your berries over the porridge (heat them up again if necessary). - Finish with one last drizzle of honey if you want and then breakfast is ready! Make sure you stir the porridge consistently and don't leave it boiling. Otherwise, the mixture can stick to the bottom of the pot/pan. 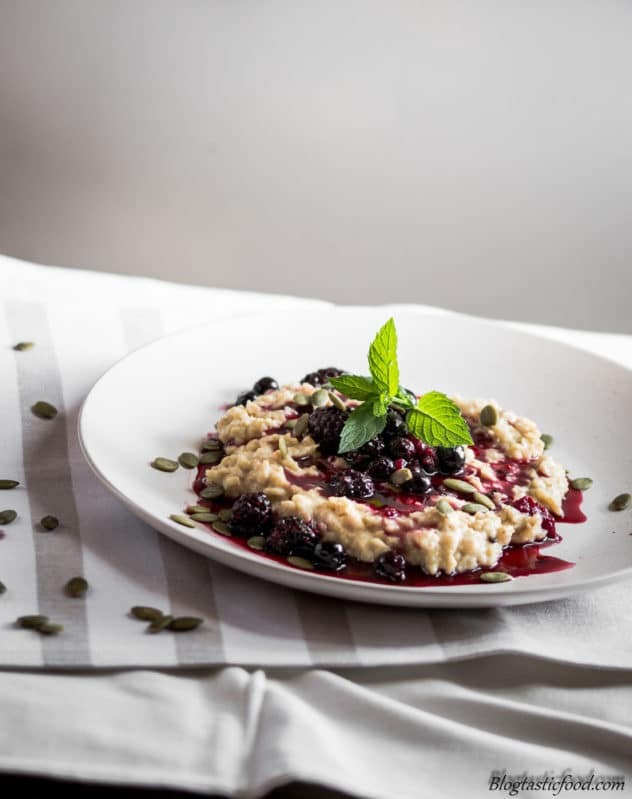 If you like this porridge recipe, then I am sure you will also like these Coffee Flavoured Overnight Oats. I like porridge for brekkie too:) Berries are really nice idea! Not only delicious and healthy, but also gorgeous! It’s sort of like a compote, right? I make varieties when I have company, for yogurt, mostly! Looks delicious! I agree that you can never have enough breakfast recipes! My family were fortunate to be able to pick blackberries from our garden and cook them for breakfast. We would serve them with homemade biscuits and sop up the juice. Now that was a great way to start our day.